'Manchette' or cuff bracelets became fashionable in France in the 1850s and 60s and then spread to England. In a letter to her daughter, the Princess Frederick William of Prussia, in 1861 Queen Victoria described a wedding anniversary gift of 'a beautiful bracelet which he got at Coburg- from Gotha- a large elastic gold bracelet like a cuff - and so pretty'. 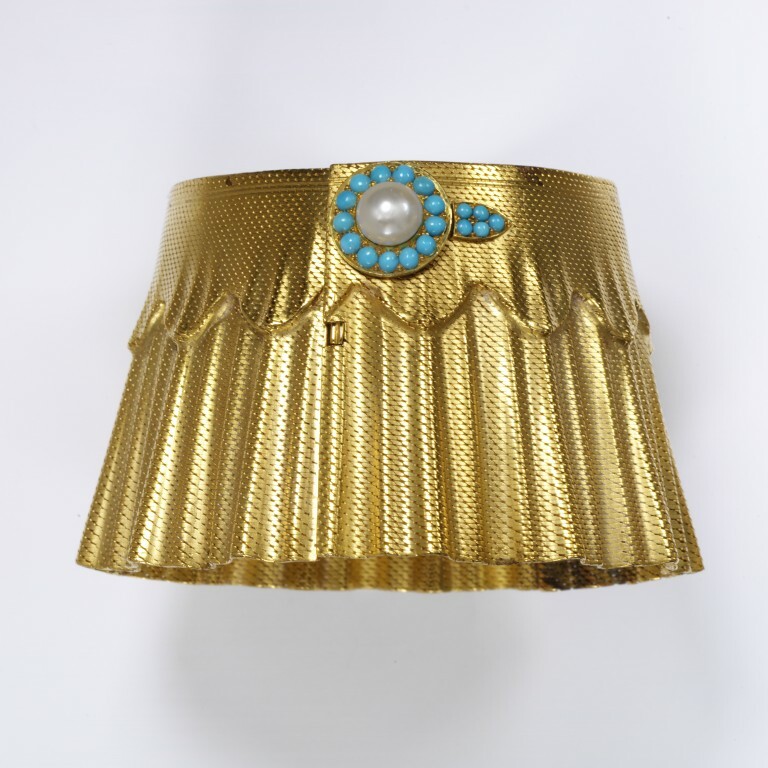 Gold cuff (manchette) bracelet, with turquoise and pearl decoration. The French fashion of cuff (manchette) bracelets spread over much of Europe, including England.